UPDATED – VATICAN CITY (CNS) — Pope Francis expelled from the priesthood a Chilean who gained notoriety for sexually abusing young men in his parish. Pope Francis signed the decree Sept. 27 and Karadima was informed of the decision the next day, the statement said. Known as an influential and charismatic priest, then-Father Karadima founded a Catholic Action group in a wealthy Santiago parish and drew hundreds of young men to the priesthood. Four of Karadima’s proteges went on to become bishops, including retired Bishop Juan Barros of Osorno. 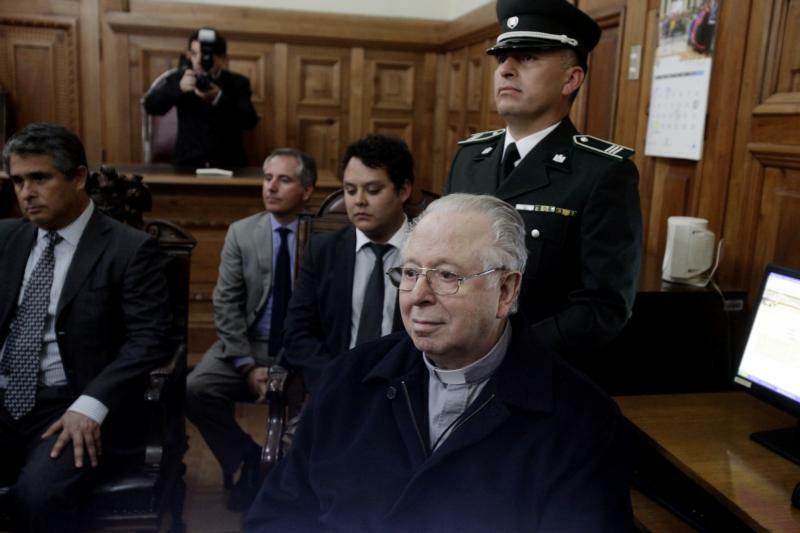 However, several former seminarians of “El Bosque” revealed in 2010 that the Chilean priest sexually abused them and other members of the parish community for years. One year later, Karadima was sentenced by the Vatican to a life of prayer and penance after he was found guilty of sexual abuse. The pope, who initially defended his 2015 appointment of Bishop Barros as head of the Diocese of Osorno, apologized after receiving a 2,300-page report from Archbishop Charles Scicluna of Malta. He subsequently accepted Bishop Barros’ resignation June 11. In a letter released April 11, Pope Francis said he had been mistaken in his assessment of the situation in Chile, and he begged the forgiveness of survivors and others he offended. He invited three survivors abused by Karadima — Juan Carlos Cruz, James Hamilton and Jose Andres Murillo — to Rome in late April. Cruz tweeted Sept. 28 that he had “a knot in my stomach” following the announcement of Karadima’s expulsion from the priesthood. “Never thought I’d see this day. A criminal who has ruined so many people’s lives with his abuse. I thank Pope Francis for doing this. I hope thousands of survivors feel a bit of the relief I feel today,” Cruz tweeted. Pope Francis also had met with a second group of survivors, composed of priests and laypeople, abused by the now-former priest June 2. In addition, he met with Karadima’s brother, Oscar, who spoke to the pope about the suffering his family endured following the revelation that his brother was found guilty of sexual abuse. “I spoke to him about Fernando; I told him what Fernando was like with his family, with us: He was an arrogant man, authoritarian, a man we were afraid of and that even my mother was afraid of him,” Oscar Karadima said in an interview with Chilean newspaper La Tercera, published June 17. The brother said there were tears in his eyes as he recounted his and his family’s pain and that Pope Francis touched his hand and encouraged him. After listening to him, he added, the pope grabbed a piece of paper and wrote a message for the Karadima family. “To the family of Oscar Karadima, with my blessing and my sorrow for so much suffering that you bear. In the name of Fernando, silent and incapable of realizing (his mistakes), I ask your forgiveness,” the pope wrote.